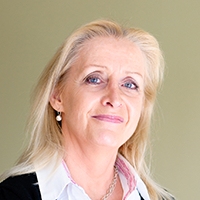 Ann O'Connell is Professor at Melbourne Law School specialising in taxation. She is Special Counsel at Allens, Solicitors, a member of the Advisory Panel to the Board of Taxation and a member of the Australian Tax Office Public Rulings Panel and GAAR Panel. She was also a member of the Working Group established by the Assistant Treasurer in 2012 to consider the tax concessions for the Not-For-Profit Sector and has worked as an advisor to the OECD in Paris. Ann lectures in taxation and in corporations and securities regulation. In the Melbourne Law Masters program she teaches Taxation of Business and Investment Income, Taxation of Remuneration, Taxation of Superannuation and Capital Gains Tax - Problems in Practice as well as Regulation of Securities Offerings and Regulation of Securities Markets. She has written on taxation of charities, taxation of superannuation, tax avoidance and on capital gains tax issues.